This post was written by Cummins, Inc., a 2018 sponsor of #HurricaneStrong. Top forecasters are now predicting a quieter hurricane season with 10 tropical storms, four of which will likely develop into hurricanes. Preparing your home for severe weather is still of the utmost importance as it only takes one storm to change a community forever. Being prepared can help alleviate uncomfortable – or even dangerous – living conditions. A power outage caused by a natural disaster can affect millions of people for days, sometimes even weeks. Being equipped with a generator means you can quickly restore power to your home. Selecting the right type of generator – portable or standby – is key to ensuring you and your home are ready for power outages. You must turn on a portable generator manually and keep it filled with gas for the duration of an outage. Depending on the portable generator’s wattage, you may only be able to turn on select appliances at any given time. In addition, you need to operate the portable in an open area a least 10 to 15 feet from your home to avoid exposure to carbon monoxide. To make sure your portable is ready for power outages, test it several times a year by starting it up and making sure it runs properly. A home standby generator, like the Cummins QuietConnect Series, is permanently installed and turns on automatically when the power goes out. Standby generators are available in a variety of sizes. Utilize an online calculator to help understand the correct size for your needs. Contract with a certified local dealer to finalize your generator selection and to ensure your generator is properly and safely installed. While home generators exercise themselves regularly to ensure they’re always ready in the event of a power outage, homeowners should still check for debris around a generator before an impending storm. “FLASH Weather Alerts” Version 3.0 offers speed, precision, forecasting, preparedness tools, and NOAA weather radio functionality. 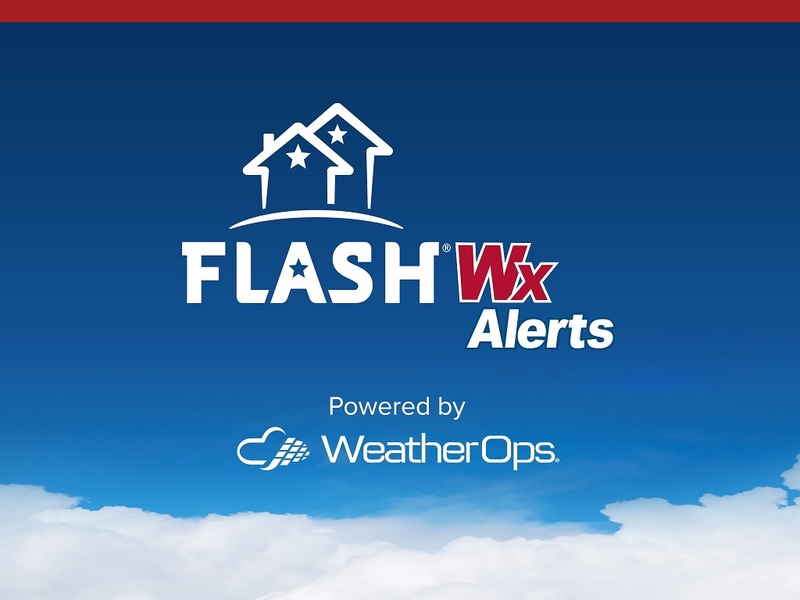 In partnership with Weather Decision Technologies, Inc. (WDT), the nonprofit Federal Alliance for Safe Homes (FLASH), today released the updated FLASH Weather Alerts app V3.0 on the iTunes and Google Play stores. This mobile app delivers precise GPS, precision text-to-speech severe weather alerts, useful “How-To” videos, and bilingual home safety, mitigation, and disaster preparedness information. The FLASH Weather Alerts app enables the user to receive critical alerts via voice and push notifications. Your phone will “wake up” with alerts and also track your location to warn you wherever you go. Listen to local weather forecasts while on the move. Enjoy the power of a NOAA Weather Radio, with all the convenience and precision of a smartphone. All app features are included for $4.99 with no additional in-app purchases. If you previously purchased FLASH Weather Alerts, you may download the update for free. For more information, visit flashweatheralerts.org.